Nigeria’s leading betting brand, bet9ja, has sealed a sponsorship deal with the domestic second-tier league, Nigeria National League, as title sponsor. The sponsorship was signed at the Corporate Headquarters of the betting brand in Lagos, on Thursday. For sponsorship reasons, the NNL will now be called bet9ja NIGERIA NATIONAL LEAGUE. naijaleaguez.com.ng learnt that the deal which will run for three years is worth N200 million. The new logo of the NNL was also unveiled at the event. 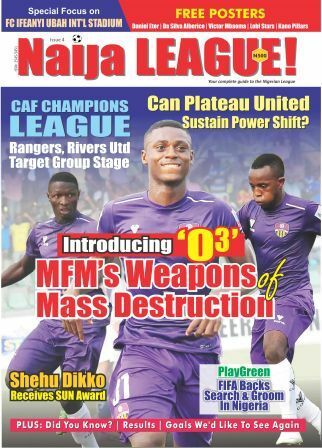 This is the first time the NNL will secure a Title Sponsor and first for the second-tier league in Nigeria. Divided into groups, Northern Conference and Southern Conference, the bet9ja NIGERIA NATIONAL LEAGUE provides teams that eventually graduate to the top flight league, the Nigeria Professional Football League (NPFL).